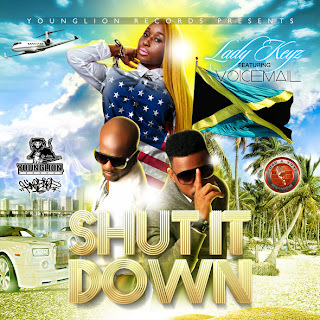 Young Lion Records and reggae group, Voicemail, have teamed up with Push-a-Yute Productions to bring you Lady Keyz newest buzz-worthy single, "Shut it Down." Though from two different musical genre’s, Lady Keyz and Voicemail have paired up to give music listeners a unique record for the streets. “When Vivian (CEO Push-a-Yute Productions) sent us the riddim we automatically knew we had to take this song in a different direction,” said CEO of Young Lion Records, Drew Thompson. The combination of Hip-Hop and Dancehall gives this high-tempo dancehall infused track an instant flare that most aren’t accustomed.